Indulge in family-friendly activities while jamming to live music and exploring model homes at the Rock the Block Party at Woodforest in Montgomery on Saturday, April 21, 2018. Woodforest is celebrating Johnson Development’s “April Drools!” Houston Home Tour with a free block party and model home tour from 10am to 5pm. Visitors are welcome to visit Woodforest to enjoy live music and DJ tunes, tasty grilled food, beer and margaritas, snow cones, face-painting, inflatables, game and more. There will also be tour buses offering a free home and community tour. Click here for a complete list of event information. While you’re there, check out Bonterra at Woodforest from 5pm to 7pm for the “Fire & Dice Casino Night”. Guests can look forward to an evening of fun including, fire dancers, casino tables, an illusionist, ice luge and more. The event is part of Johnson Development’s “April Drools!” Houston Home Tour, featuring 500 homes to tour in 14 communities across the greater Houston area. Click here for more information. Hundreds of homes will be open daily—including more than 170 models and nearly 500 jaw-dropping inventory homes—in Johnson Development’s 14 master-planned communities throughout Houston. Of course, admission is completely free. In addition to touring homes filled with inspiring design and wow-factor architectural trends, visitors also can enjoy concerts, a crawfish boil, and a day devoted to the dogs, amongst other activities. Cross Creek Ranch in Fulshear – Located minutes west of the Grand Parkway off of FM 1093, the 3,200-acre community is ranked among the nation’s 50 top-selling communities with homebuyers drawn by a wealth of amenities, high-performing schools, and nearby conveniences. Twenty-five model homes will be available to tour. Click here for more details. Edgewater in Webster – Built along the banks of Clear Creek, the 538-acre mixed-use community is near the Johnson Space Center, the NASA Parkway bypass, and several major medical centers. Waterways and miles of nature trails appeal to nature-loving residents, and visitors are invited to explore the development and tour two model homes. Click here for more details. Fall Creek in Northeast Houston – Surrounding the acclaimed Golf Club of Houston, home of the Shell Houston Open, the 2,300-acre community in northeast Houston features two picturesque, well-appointed models. Click here for more details. Grand Central Park in Conroe – The brand new, 2,046-acre master-planned community in Conroe is inviting the public to enjoy a taste of the Big Apple with New York-stylestreet fare, performers and more on Saturday, April 28. Event goers can register to win a trip to New York City when visiting the community’s 11 model homes. Click here for more details. Harmony in North Houston – Situated just five miles east of Interstate 45 near the ExxonMobil campus, with direct access to the Grand Parkway, the 1,000-acre community will host Barefoot Bands in the Park with a free concert by Hannah Kay and the Louis Adams Band. Fifteen model homes will be open for touring throughout the month. Click here for more details. Harvest Green in Richmond – A 1,300-acre farm-centric community, Harvest Green offers residents a true farm-to-table experience. Eleven model homes will be open throughout the month. Click here for more details. Imperial in Sugar Land – Surrounding the historic Imperial Sugar Company refinery, the planned 700-acre community, mixed-use development will incorporate retail, residential, entertainment, and office components to create a premiere live-work-play community. Six model homes will open for touring throughout the month. Click here for more details. Jordan Ranch in Fulshear – Situated one mile south of Interstate 10 just west of the Grand Parkway, the 1,350-acre Jordan Ranch features twelve model homes on display all month. The public can attend a Better Out West Fest on Saturday, April 21 featuring a concert by Maddie & Tae. Click here for more details. Riverstone in Fort Bend County – The 3,700-acre community situated just minutes from U.S. 59 and the Fort Bend Parkway, Riverstone is Johnson Development’s top-selling community and is ranked among the nation’s 20 top-selling developments. Eighteen models will be open for touring during the event and the community is hosting its popular Houston’s Coolest Crawfish Boil on Saturday, April 21. Click here for more details. Sienna Plantation in Fort Bend County – A 10,000-acre community, is located along Highway 6 in Fort Bend County. Twenty-three model homes will be open for touring. Click here for more details. Tuscan Lakes in League City – Located on State Highway 96 two miles west of Interstate 45, the Tuscan-themed development is minutes from the Johnson Space Center and the Kemah Boardwalk. Three models are open for touring. Click here for more details. Veranda in Fort Bend County – Johnson Development’s newest project is their seventh community in Fort Bend. Eight builders offer a wealth of home designs, with 13 models open for touring. Click here for more details. Willow Creek Farms in Brookshire – Just south of Interstate 10 and west of Katy in Brookshire, the 600-acre community will be home to more than 1,100 families. Willow Creek Farms will feature trails, a full Olympic-size pool, recreation center, and splash pad. Not to mention, it’s also within the Katy School District. Three model homes will be showcased during the month-long tour. Click here for more details. Woodforest in South Montgomery County – Minutes from some of The Woodlands primary shopping and entertainment destinations, the 3,000-acre community is seven miles west of Interstate 45. The community is hosting a massive block party and Fire & Dice casino event on Saturday, April 21. Twenty-six models will be open on the tour. Click here for more details. Date: Rock the Block Party: Saturday, April 21, 2018. Home tours are available throughout the month of April 2018. Times: Rock the Block Party: 10am to 5pm. Fire & Dice Casino Night: 5pm to 7pm. Homes are available for touring for the “April Drools!” Home Tour Mondays through Saturday 10am to 6pm; Sundays noon to 6pm. Click here for details and specifics. Location: Rock the Block Party: 212 Fox Trail Road, Montgomery, TX 77316. Home Tours take place at multiple Johnson Development communities around Greater Houston. Click here for a complete list. Admission: No cover. Click here for a complete list of event information. 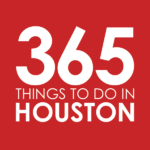 Home tours are free, most other events associated with Houston’s Largest Home Tour are free as well. Click here for more information. This story was sponsored by Johnson Development. Per our sponsorship policy, we only accept sponsored content from businesses that meet our editorial standards and truly present a valuable activity, resource, or destination for residents and visitors across the greater Houston area. Click here to learn about promoting your event or business.